Apple Buys Chomp: Is your App’s Page Optimized for Search Engines? 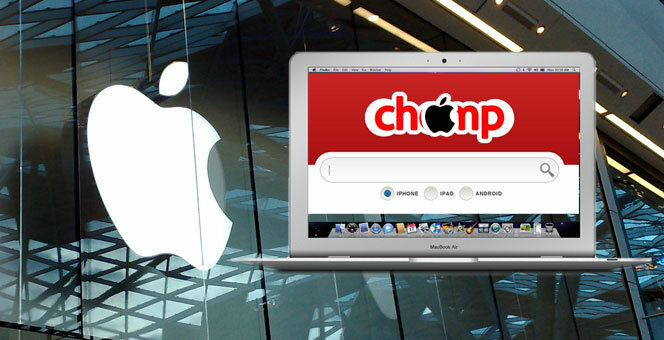 NASHVILLE, TN – TechCrunch reported on February 23 that Apple acquired Chomp, a company founded in 2010 to provide a search engine for mobile apps. They started solely with improving iPhone app results, and in 2011 they expanded to the Android market. Android and iPhone users can download the free Chomp app to search for apps with better results than simply using the respective mobile stores. Apple’s website states that more than 500,000 apps are on the App Store, but finding them is as daunting as finding a needle in a haystack. If you know the app you’re searching for by name, or if it’s a big corporation’s app like Twitter or Facebook, you’ll probably find what you need. But if you’re searching for something like “simulation games” or “fabric stash” or “hidden object”, your results may be murky. There are blogs that feature popular and underground-sensation apps, but why can’t we just search for them? Google makes it so incredibly easy to find information on anything that we get spoiled. We take it for granted. We wonder why these app markets doesn’t just know what we want. On Chomp’s website, visitors can see analytics for mobile Chomp users, which I personally find pretty awesome. For January 2012, 81% of Chomp searches for iOS apps were for the app’s function; only 19% of searches were for the app’s name. On the Android Chomp searches, only 14% of users searched for an app by name, while the remaining 86% was only searching in terms of function. And now, with Apple’s acquisition of Chomp, it’s expected that the Chomp team will transform the Apple App Store into something organic, something that can read your mind. So why would an SEO company like Millionairium really care? Why all the talk about mobile apps? If your company has an app, your app’s description page now needs to be optimized for search engines, as Chomp is providing better results than you can see on the iOS or Android app stores. The implementation of SEO in the app world is long overdue. Hopefully, with Apple’s acquisition of this two-year old search engine app and algorithm superstar, the App Store will step up their results to better serve their customers. If you’re in the market for an SEO expert – for your website, blog, or app description page – Contact Us to see if the Millionairium team can deliver results.